You'll be £30.00 closer to your next £10.00 credit when you purchase Charging Against Wellington. What's this? 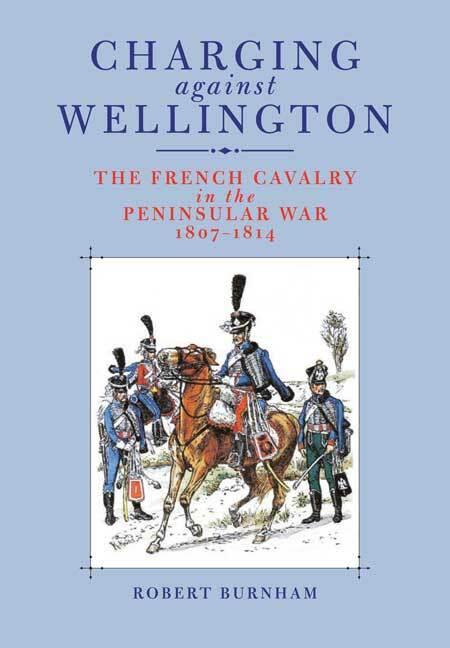 Like the author's previous book, The British Army Against Napoleon, Charging Against Wellington draws heavily on primary sources, manuals, memoirs, and regimental histories to bring to life the officers and men of the regiments that fought. The book is divided into three sections. The first contains biographies of 80 generals who led the French cavalry, focusing on the time they served in the Peninsula and its impact on their careers. Two went on to become Marshals of France and many were promoted and given greater responsibilities. For others, their careers were damaged while serving in Spain or Portugal – nine were relieved from their commands. Nearly half of the generals were killed, wounded, captured, or died from their wounds in Spain: a high price for glory. The second section looks at the ever-changing organisation of the cavalry, month and year, where the various regiments and brigades were located and who commanded them. This is not as easy as a task as it may appear, because a considerable amount of the cavalry was provisional regiments, consisting of squadrons drawn from other regiments. By April 1814, the Peninsula cavalry was down to 4,000 men – a shadow of the force that invaded six years before. Charging Against Wellington chronicles all the changes, showing which units left, when they left, and how their departure impacted the army. The third section looks at the service record of the 70+ French cavalry regiments that fought in Spain and Portugal. There is a table for each regiment that tracks the regiment's colonels, composition, organisation, strength, and casualties while in the Peninsula, and when its various squadrons arrived and departed. The organisation of the French cavalry divisional-level and, especially, brigade-level commands and the history of individual regiments, have long been subjects only accessible to specialist historians and most particularly to those with a good command of French. The exacting standards of this book, its clear presentation, together with supporting indices and lists of tables, and a very readable prose make this book a must for students of the Peninsular War whether for general perusal or as a definitive reference source. The index is comprehensive and bibliography extensive. It includes an excellent set of tables providing a comprehensive review of the location and strength of French cavalry units in the Iberian peninsula theatre. Within these, and the supporting text, the reader will find locations of the various regiments at almost any given point in the six year long conflict, regiments of march, provisional regiments and their brigading, the despatch of cadres back to France and the requisitioning of troopers to supplement depleted regiments. This book is a must for any buff of the Napoleonic was whether to clarify orders of battle for a wargame, to check regimental histories, seek information as the basis to rate French cavalry generals, for general interest or to win an argument! Charging Against Wellington is a valuable resource for historical researchers and Napoleonic enthusiasts alike.